۞ Easy Way or Hard Way? 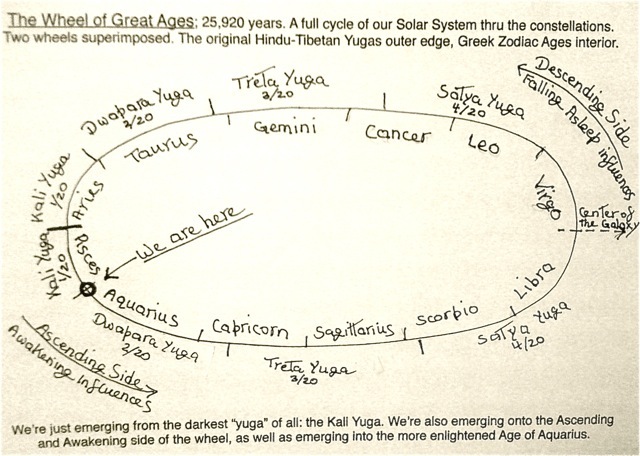 the deep space constellation energies that 'align' Earth. Just think. It took 12 years of the Internet revolution for 1.25 billion global Netizens to connect in an instant-everywhere and interactive way. But then it took only 6 years more to reach 2.6 billion Internet users. At this rate, in another 3 years there will be 4 billion global Netizens who share 'Global Net Reality' with the worldwide web of consciousness. The major growth of Net reality has been in the developing world. Back in 2010, there were only 1-in-23 mobile Internet users with smartphones and tablets like iPad. Now, just three years later, there are 1-in-5 mobile Internet users in the developing world... and 4 out of 5 of them have no other connection to the worldwide web of consciousness. Do you see where these trends are going folks? and opportunity to know and do better. Over the summer, the global sales of 'smart phones' surpassed sales of standard cell phones for the first time. Billions of us are now connecting worldwide with the mainstreaming of the global computer/Internet revolution. More of these 'Net reality' statistics came out of the International Mobile Conference held in Berlin last month. Global Net reality was much the buzz. The 'Net reality' of relative omniscience -- to know better with relatively ALL the knowledge of the world at our fingertips -- is no longer an abstract concept. The issue of doing as well as we 'know better' boils down to global freedom and opportunity with a higher standard of 'TLC' for global TeLeComm at the heart of the 'hearts and minds' of all of "US" (United Sovereigns of Earth). This is the TREND... from hardware and software emphasis to netware and heartware emphasis. Heartware is a trend fit that fulfills the global computer/Internet revolution with an interactive interface for involving and evolving our individual and collective TLC (heart coherence) for social Conscience at the heart of our local and global social networks. "TeLeCommerce" (Self-realized commercial networks)... E-commerce. By default, suffer the sense of separation from the easy way. Continued with video for the 'A-Team' HERE.